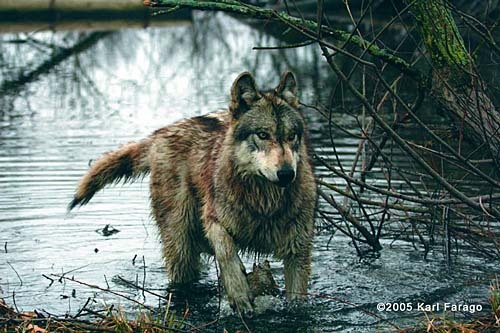 Wolves have no aversion to water. In fact, during warm summer months, they often find a cool pond or river bath to be most enjoyable. But although wolves are excellent swimmers, they will rarely pursue their prey into water during a chase.